A revolutionary mascara for intense, super shiny lash color. The patented formula gives lashes length, volume and curl with deep, saturated color like never before. This liquid lash color frames eyes with high impact color like never before, without compromising the sleek volume, definition, and curl you crave. Shocking color from root to tip, these high-shine vinyl mascaras ensure lashes make a strong statement with every wink. Vinyl Couture Mascara can be worn alone or mix and match 2 shades to achieve a unique look. Wear colored mascara on both your top and bottom lashes to make your eye color pop. 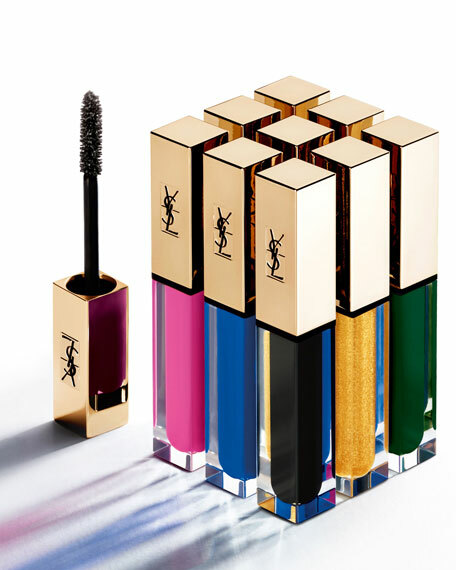 Vinyl Couture Mascara comes in a variety of shades to complement every eye color. Gold mascara flatters brown or green eyes; blue mascara intensifies baby blues; and green mascara look great with hazel eyes. If you are trying colored mascara for the first time, you may prefer a more blackened color such as green or hazel. The color is more subtle, but still makes eyes pop. 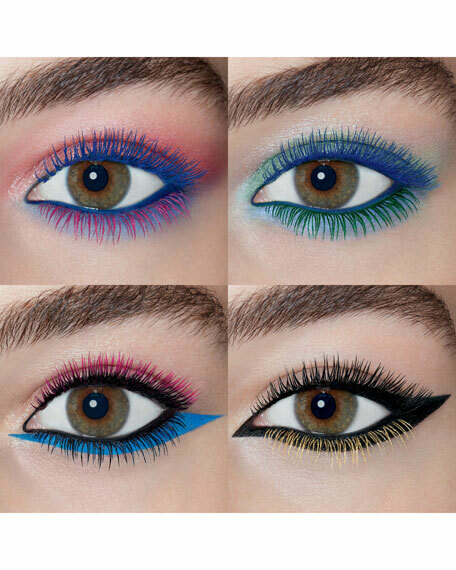 Colored mascara is bold enough to wear alone, so keep the rest of your makeup simple. On the eyes, keep your shadows neutral and your eyeliner on the thinner side. 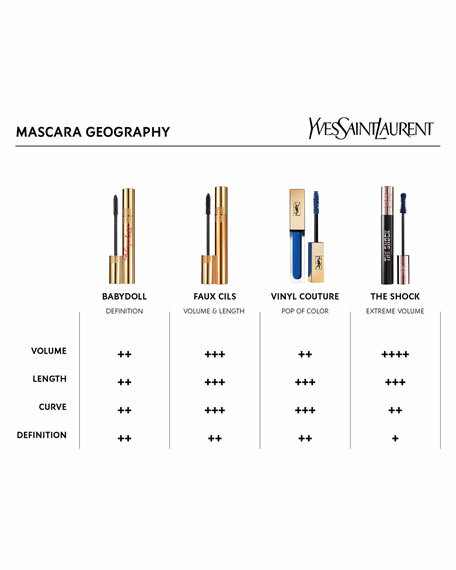 Wear the trend in a subtle way by layering colored mascara over black on just the tips of the lashes. Wearing color on the bottom lashes only gives a similarly toned down effect. Sweep the brush on the upper lashes in a zigzag motion, pushing it upwards and outwards at the same time to separate the lashes. On the lower lashes, use the tip of the brush to cover them individually. Apply the sparkle top coats on top of your mascara to light up your lashes and add extra sparkle to your eyes. Sweep on over mascara after it dries. Use all over lashes, or only for special spot lighting.